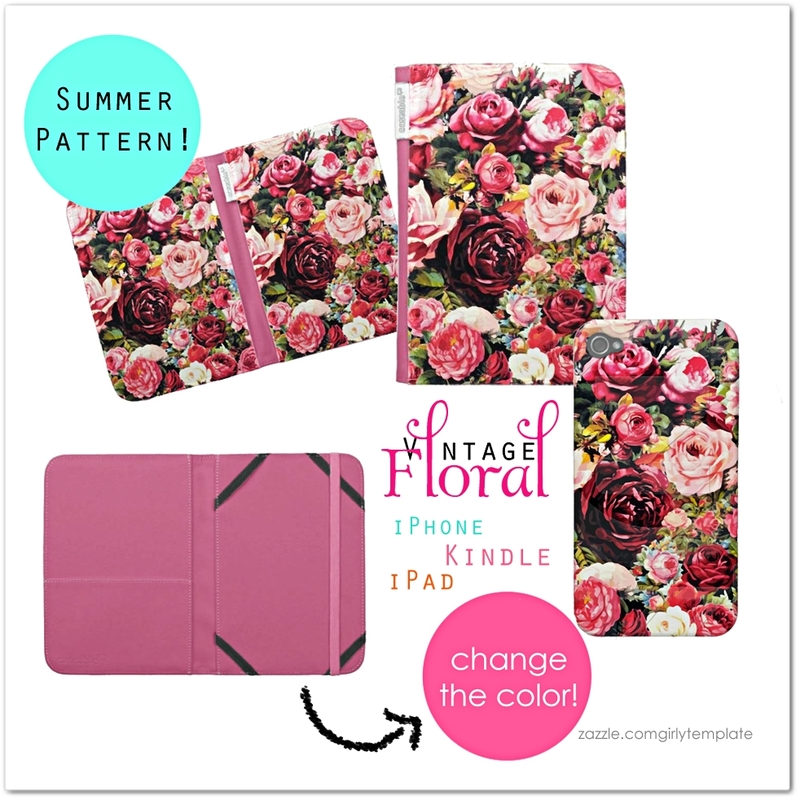 Floral Vintage Kindle Cases - Oh So Girly! Choose from 5 interior colors to match the design of your choice. Made of soft and protective suede, select an interior color to complement your exterior designs. Designed with a water-resistant fabric-wrapped exterior, this hardcover case will securely hold your Kindle in the four-point elastic mounting harness. Yellow color makes me remember of summer and its sunny days. I often associate yellow with happiness and fun. 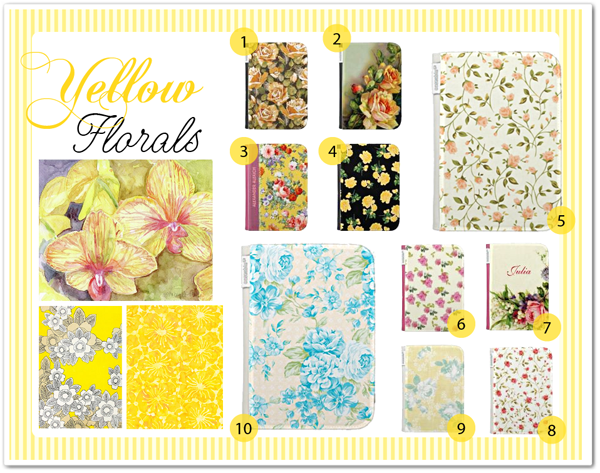 Check out these yellow floral cases. 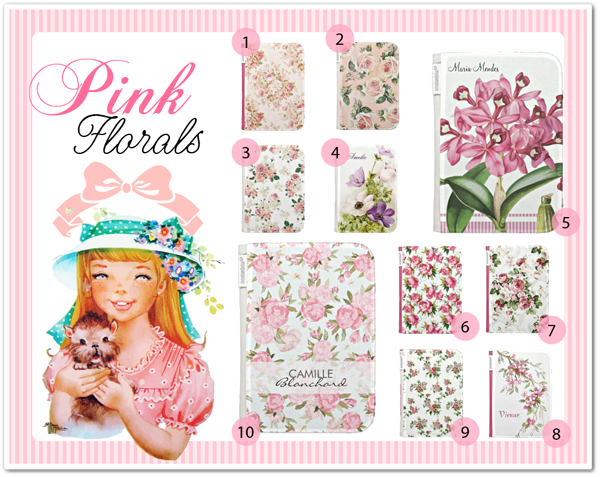 Pink floral designs are super girly and in vogue for this summer! Why not protect your kindle with these cute cases? You can personalize some with your name or monogram. 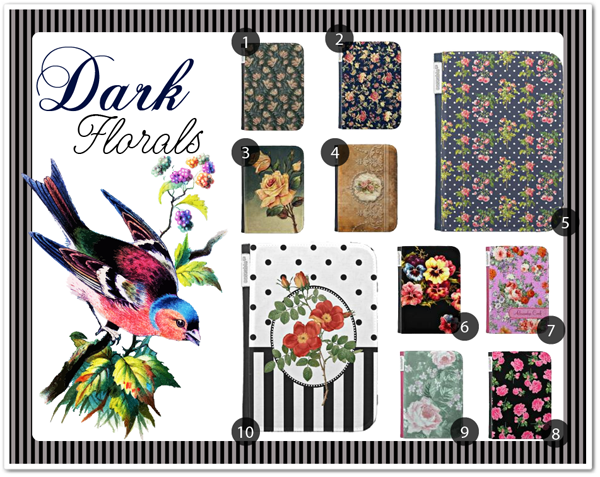 Super classy these cases offer classic designs with darker colors and its whimsical flowers.